I drove to the Chicago suburbs on Friday to attend a Mission Alliance conference. The program posed the question: “How do we lead the church into our local neighborhood/context and what do we actually do when we get there?” It was a great time interacting with theology professors, church planters, mainline pastors, seminary students, and community organizers. We started Friday night by eating dinner at Bishops, a lovely little chili joint in Westmont that has been in the same family since 1925. We didn’t tell them we were coming, but they were great nevertheless. The owner modeled the kinds of things we talk about in terms of servanthood in spite of a room full of conferency folks who didn’t know what they were doing. After dinner, we went back to the church plant where we were meeting and heard the opening session from Chris Smith on the story of Englewood Christian Church in Indianapolis. For a variety of reasons, the church was in need of healthy dialogue about what bound them together and how they’d articulate their shared identity. That has allowed them to build bridges into the broader Englewood community to partner with various agencies in addressing social needs. You can read more here on your Kindle device for only $2.99. As I listened to Chris’ presentation, I kept thinking about our assumptions about how the congregation related to the broader community. It seemed like the goal was to work through “issues” in the congregation in preparation for engaging those “out there”. Then new people would come in and we could bring them up to speed on what had transpired over time. But I wondered, why couldn’t we let those “out there” see us in our messiness? Why do we have to clean ourselves up before we engage? Does such an assumption push us into putting on our Halloween masks all year long? If we do that, it seems that two things result. First, we lose the ability to be authentic with others because we’ve spent so much energy in making sure our masks fit. Second, those “outside” may have serious concerns about their ability to measure up to us (mostly because we didn’t tell them where the mask store is located!). I’ve played around before with how much energy evangelicals expend in boundary maintenance. Sitting in a church in a western Chicago suburb, I returned to those same questions. How does the church engage? Can we do that without having to persuade others of the superiority of our position? Can we simply connect and leave the convicting and demonstrating to the Holy Spirit? Saturday morning began at Starbucks as I connected with Michelle Van Loon, who I’ve written about as an internet buddy but hadn’t met. Meeting Michelle proved that the “othering” of the internet still can allow for personal connection. The Holy Spirit had gone before and allowed us to find great commonalities in spite of very diverse backgrounds. Back at the meeting, David Fitch opened the day by suggesting that we think of the Kingdom “out there” as a material reality and not a theological possibility. We connect in the authority of the Holy Spirit who is already working in the neighborhood before we get there. David contrasted an approach based on projects with those based on presence. We don’t just do stuff — we are. We relate. He told a story about his connection with one of the guys who is a regular at the McDonald’s he goes to (I don’t like McD’s coffee, so therefore Starbucks is in the title of this piece). The guy was in need and David was able to offer his connectional resources as an investment into the person’s life. It was a Kingdom moment even though nobody talked religion (yet). The next session dealt with issues of reconciliation, but I was still bothered by the us-them language that showed up in that context. First we separate, then we repent of the separation and look for bridges. Part of that discussion involved the confrontation passages in Matthew 18. Go to the sibling who has wronged you, then take some friends, and finally treat the person as a sinner or tax collector. That sounds like inside/outside language describing what to do when people are out of line. The final stage is be put outside the group. But in the small group discussions, several of us recognized that Jesus gave us a model for dealing with the sinners and tax collectors. He ate with them. So they weren’t excluded from our company. They were still connected. Their lives are important and significant. Lunch was catered from a wonderful restaurant down the block from the church (where church folks were regularly engaged, including waitressing there). We gathered around tables in the lower level of the church. Interestingly, the village of Westmont held their annual Halloween walk on Saturday. While we were eating, I could see children in costume and their families walking by the casement windows. All of a sudden I realized how much better the church would be at engaging the neighborhood if we had glass walls on our churches. We could see the neighbors engaging their lives, they could see us with the messiness of being a community of Grace. Maybe Robert Schuller had part of a good idea. Don’t build a Chrystal Cathedral with sunlight and birds. But find a way to let others see in and for you to see out. That set up the final session. Cyd and Geoff Holsclaw presented on what it means to Proclaim the Gospel. This Gospel isn’t solely the focus on Sin-Salvation-Service of past evangelism. This is the Gospel but not the complete Gospel. Cyd reflected on Luke 4 and how we are “proclaiming the year of the Lord’s favor“. When we confront people in need, people who are hurting, people who are fearful, people who despair, we are really telling them: “It isn’t supposed to be like this“. God is restoring his creation in our midst even when we can’t see it. Geoff followed up with a wonderful illustration of a guy at Starbucks. Someone who struck up a regular conversation, much like David’s McDonald’s friend. Geoff took the opportunity to engage, to explain his own work and commitments. That opened the possibility for the other guy’s life struggles to be authentically shared. The story doesn’t end with a marvelous conversion tableau that can be shared in conferences. It is just the illustration of connecting to another in Jesus’ name. 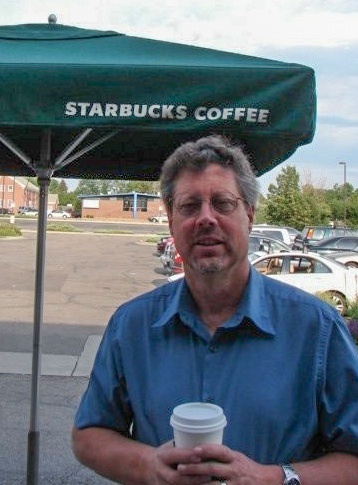 Geoff didn’t have to take the Kingdom to Starbucks because the Kingdom was already there. I went to the conference to try out an idea I have about how evangelicals can engage a broader culture that doesn’t agree, doesn’t understand, and likely doesn’t care. My thinking is that if we can simply be present and tell our story about God’s Grace, we’d still be playing a vital role in society. I came away revising my thinking considerably. We don’t begin by being ready to witness. We begin by being aware of the Kingdom around us. Then we find that the stories “out there” aren’t any different than the stories “in here”. Which was really the Gospel we were trying to Proclaim anyway. Hope I didn’t actually use the language of masks / cleaning ourselves up… And if I did I apologize! I do think our practices begin in the church, but it’s certainly not for the purpose of cleaning ourselves up (I absolutely agree with you that we should let our neighbors see us in our messiness), but rather for the formation of our identity as a local manifestation of the body of Christ. I believe we need this formation in order to be able to embody a different way for our neighbors. This is why David’s notion of practices-on-the-move is so helpful, we need BOTH to constantly be formed into a new culture as a community of God’s people and at the same time, be in conversation/eating together/etc with our neighbors. Chris: Thanks for the response. The masks piece wasn’t you — I was extrapolating from the more general “we have to our stuff together” rhetoric. I agree that we’re embodying a different way for the neighbors but I want to stay open to 1) the way that the Holy Spirit makes community in place of our efforts, and 2) the reality that the church learns stuff form the neighbors. Michelle and I met online exploring two facets of the same thing: I was looking at disaffected millennials and she was looking at disaffected 40+ folks. Such a difference between this and the conference I was at a couple of weeks ago, where they told us we had to take Jesus if he was going to show up. Not sure if they meant it the way it sounded, but I left feeling very sad for the disengaged state of the church. Great meeting you and thanks for the post. Love it.